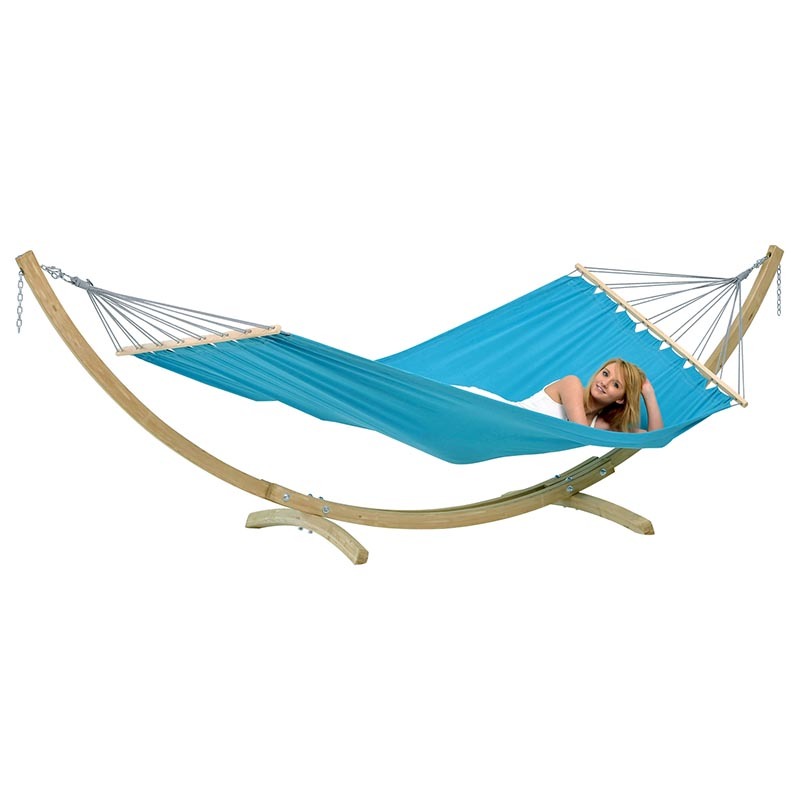 Set comprising the Miami aqua hammock with bars, plus a hammock stand. 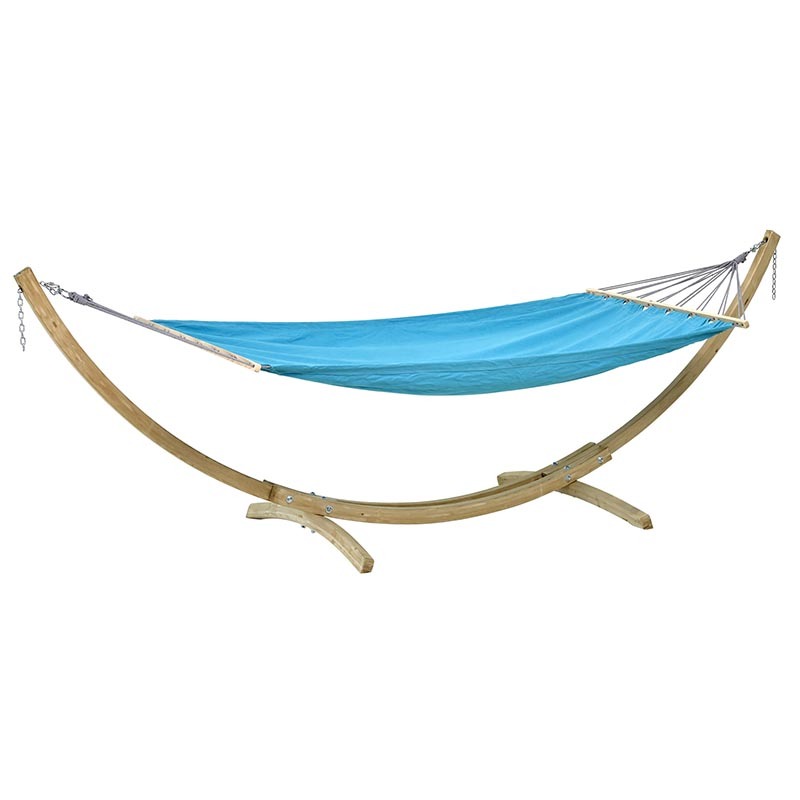 The elegant hand-crafted stand is made of spruce (FSCTM-certified) and is highly stable and secure thanks to its quality glue laminated wood structure. 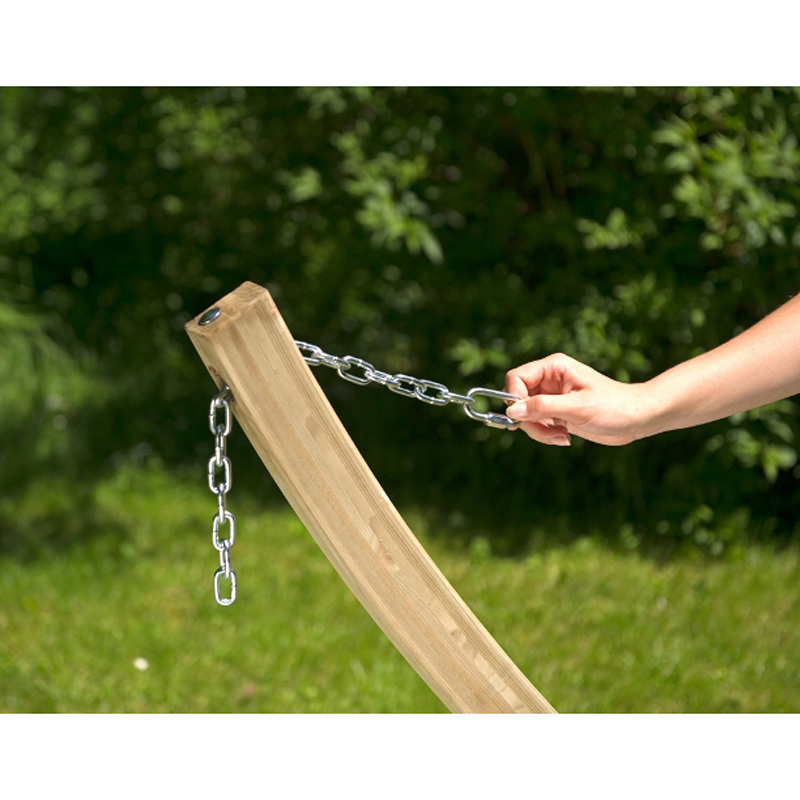 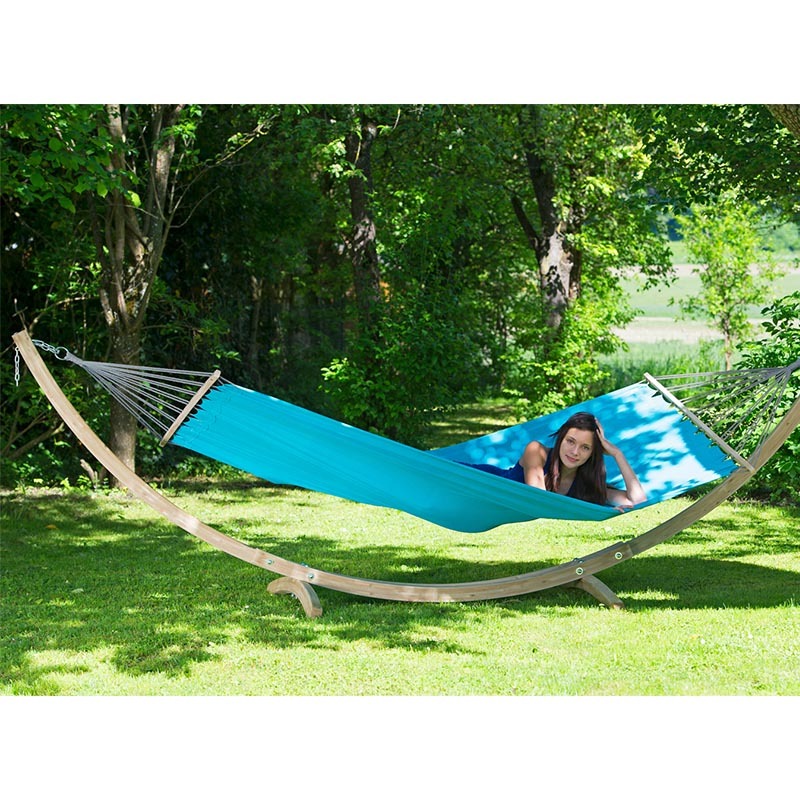 The hammock in a trendy design has an ultra-long spreader bar for ultra-comfortable relaxing.